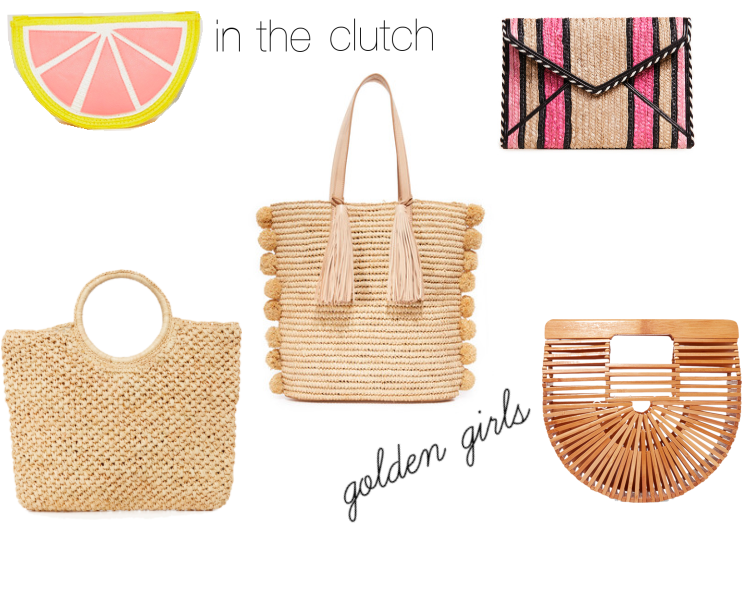 Spring trends are everywhere right this minute and when it comes to handbags, straw is having a moment. From stripes and tassels to pom poms and pops of color, these are some of my favorites so far. 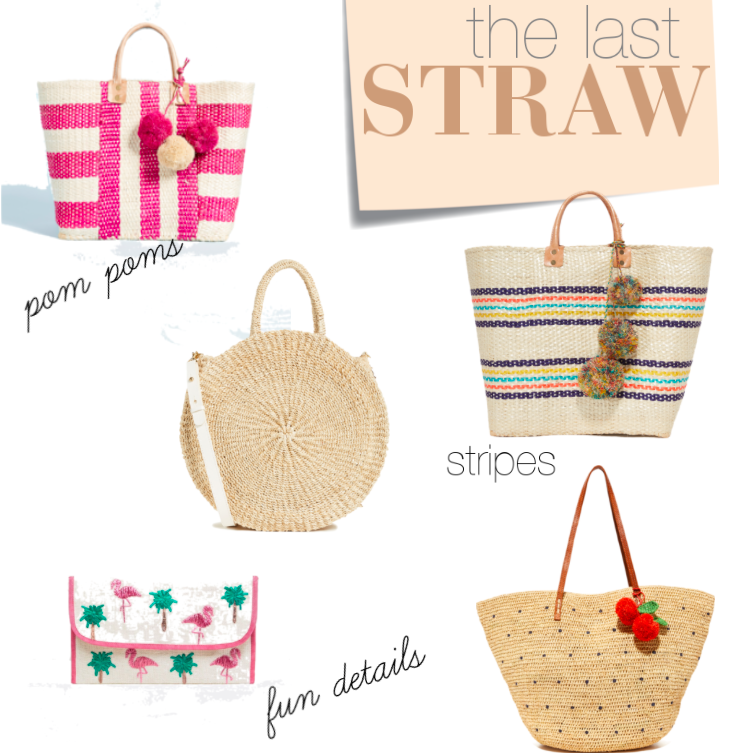 I recently picked up this round handled straw tote over at the Shopbop sale last week. I love the close weave and feel it's just the right size for daily travel and warm weather fun. Oh and the round little handle....adorable. This little kitschy number has all the Kate Spade feels but at a fraction of the cost (hello under $20!). I'm also loving this round one and I'm thinking it may be next on my list. What spring trends are all of you loving right now? I'd love to hear all about them! Have a gorgeous day everyone and thanks for reading!